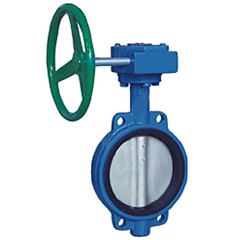 Butterfly valve - Shanghai Taitong Valve Co., Ltd.
Butterfly valve a butterfly valve is a type of flow control device, used to regulate a fluid flowing through a section of pipe. 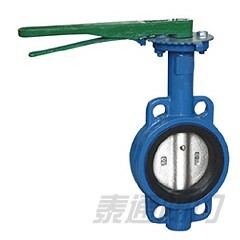 The valve is similar in operation to a ball valve. A flat circular plate is positioned in the center of the pipe. The plate has a rod through it connected to a handle on the outside of the valve. Rotating the handle turns the plate either parallel or perpendicular to the flow of water, shutting off the flow. It is a very robust and reliable design. 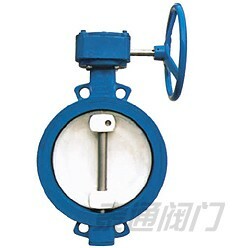 However, unlike the ball valve, the plate does not rotate out of the flow of water, so that a pressure drop is induced in the flow. 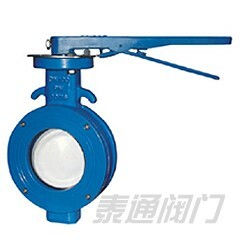 Butterfly valves are widely used in water distribution and waste water processing (not recommended, as the debris may block the operation of the disc). Butterfly valves can come in two body types, affecting installation and maintenance: lugged or wafer. Wafer style valves are more common. They are typically installed between two flanges using bolts or studs and nuts. Lug style valves are also installed between two flanges but with a separate set of bolts for each flange. The lug style setup makes it possible to remove one side of the piping while the other remains intact.